The newest novel by Kathryn Rabuzzi, author of Rotting Floorboards and Debut Dreams: Tripping through Childhood before LSD. 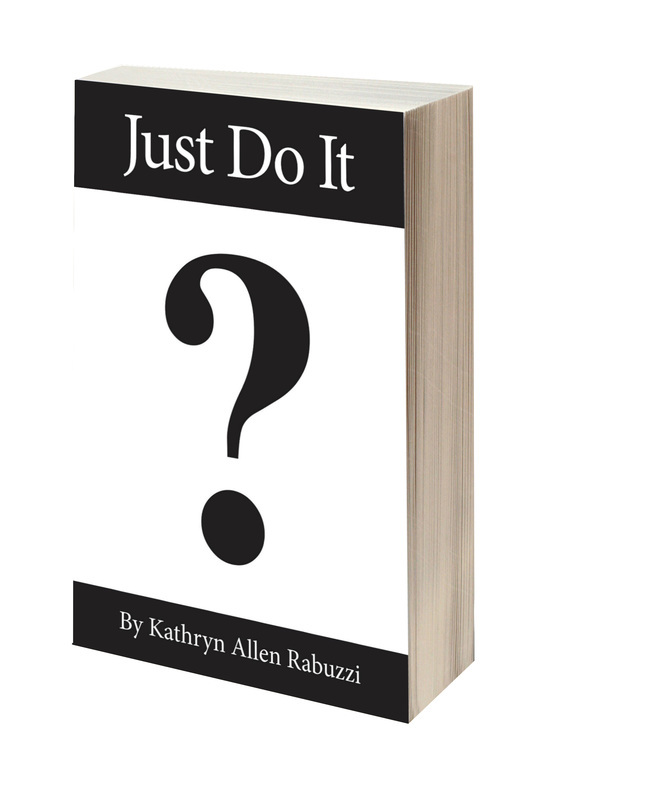 JUST DO IT, a literary novel, explores various current cultural issues, particularly stressing the enormous impact of all forms of media on the privacy none of us can now assume. Modeled on such novels as Chris Bohjalian’s plot- and character-driven Midwives, JUST DO IT forces the reader to think, as well as simply enjoy a fast-paced read. Set in 2014, JUST DO IT tells the shocking tale of prominent Syracuse, NY physician, Lyman Batcheldor. Lyman’s wife is discovered in a pool of blood, near the husband and wife’s shared master bath shower. Initially ruled accidental, accusations of murder escalate, triggering extensive national media coverage and eventually incriminating Lyman. Complicating the tale is a chance patient's growing love for the doctor. Lucy Haythe only recently left the only life she’d known so far in a commune led by a self-styled nun. Lucy’s love may or may not be simply an artifact of an over-active imagination. Many other equivocal pre- and post-indictment happenings not only heighten the increasingly distorted, growing parallels between the doctor’s pre- and post-indictment life and Lucy’s pre- and post-commune existence, they similarly parallel the lives of family members, friends, and neighbors. If you are looking for a straightforward biography or newspaper account of a modern tragedy, this book is not for you! If, however, you are looking to question, ponder and think, this novel is a main course for your meal. The author has taken a modern, local tragedy and using it in part as a base has crafted a wonderful set of metaphors which will leave the reader thinking, questioning and pondering - meaning within meaning for quite a long time. On one level it’s a very interesting and good story which is a page turner. And then suddenly- and often - a twist or turn to the story makes one sit back and think. She crafts wonderful characters and has them interacting in most interesting and at times unusual ways. The ending of this book comes as quite a surprise. I highly recommend this as a must read. I look forward to reading it again and again.